Marabouparken is the biggest public park in Sundbyberg, kinda hidden, on the west side of the neighborhood. Differently from what one might think, (giving the name I mean), the park is not a zoo and there are no exotic birds in it. 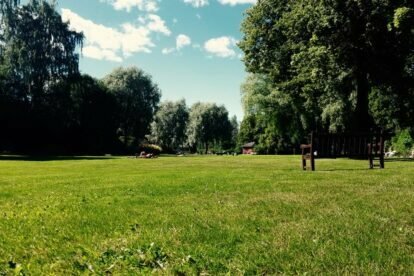 It’s way better: in 2008, the park received the first prize in the competition Sweden’s most beautiful park, and here’s why. The park suits everyone: besides the sculpture collection, the park organizes workshops for kids and adults, and inside the park there is an art gallery with exhibitions of local and international artists, offering an art which is available to everybody. Moreover, as one of the many side projects, the park organizes a series of radio talk shows (link in the website) where different topics (not only related to Swedish society) are discussed. A restaurant and a cafeteria are open inside the park (opening hours may differ from the opening of the park, make sure to check this in advance). Marabouparken as it is now, was designed between 1937 and 1955 by two Swedish landscape architects: the basic concept behind the park design is the symbiosis between nature and urban landscape without any of the parts taking over the other one. Coming here for a walk or laying down on the grass really helps me make peace with the world.